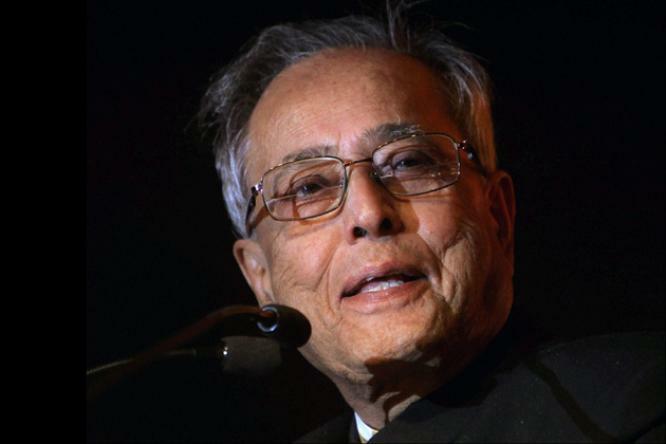 The President of India, Shri Pranab Mukherjee has extended his greetings and felicitations to the Government and people of the Republic of Italy on the eve of their Republic Day (June 2, 2015). In his message to his Excellency Mr. Sergio Mattarella, the President of the Republic of Italy, the President has said, “On behalf of the Government, people of India and on my own behalf, it gives me great pleasure to convey to you and to the people of the Republic of Italy warm greetings and felicitations on the occasion of your Republic Day. Bilateral ties between our two nations are rooted in strong foundations of shared values, democracy and pluralism and we look forward to advancing our partnership in various areas of mutual interest. Please accept, Excellency, my best wishes for your good health and personal well being and for the continued progress of the people of the Republic of Italy”. The Prime Minister, Shri Narendra Modi, has called for making Yoga a mass movement, connecting people and strengthening the bonds of humanity. In a post on Facebook, the Prime Minister said that the entire global community has come together in support of celebrating the first-ever International Day of Yoga, on June 21st. "Now, that strong support has also turned into immense enthusiasm. I am seeing several people and organisations across the world are working towards making the first ever International Day of Yoga a memorable event," the Prime Minister said. In the run-up to 21st June, the Prime Minister would be sharing a post daily, covering various aspects of Yoga. The Government proposes to soon open 1000 more stores under the ‘Jan Aushadhi Scheme’ to make available quality generic medicines at affordable prices through these special outlets. Speaking at a function organised by the Indian Social Responsibility Network (ISRN) a facilitation network to build the corporate social responsibility (CSR) space in India, at New Delhi, the Union Minister of State, Ministry of Chemicals and Fertilisers, Shri Hansraj G. Ahir said that these stores will be opened for the underprivileged who would be provided medicines at a price of 60-70% less than the market price. The Minister said that his Ministry is working on opening 1000 stores under the ‘Jan Aushadhi Scheme” on a single day. He said that the stores will be renamed, rebranded and will increasingly involve B. Pharma and M. Pharma qualified unemployed populace. The two day workshop organised by the Indian Social Responsibility Network (ISRN) to build the corporate social responsibility (CSR) space in India focussed on “Capacity Building Program on NGO Management” to help Voluntary Organizations (VOs) strengthen in areas such as record management, financial management, and program documentation. A separate session was dedicated to help Voluntary Organisations to improve their practices on greater transparency and accountability in terms of improving their chances to garner CSR as well as government funds to sustain their activities. The program was attended by more than 50 participants from 15 states. Sessions were orgranised on topics relating to project planning and proposal, record and financial management. Participants came from more than 15 states representing more than 60 voluntary organisations (VO). The Government has taken a number of initiatives to improve foodgrain management during last one year. Additional storage capacity of more than 43,480 lakh MTs has been created in remote areas specially in North East to keep the foodgrains allocation in advance at least for three months. Innovative experiments like shipping of rice from Andhra to Tripura through Bangladesh waterways and Andhra to Kerala through sea route have been made. Twenty lakh tonn additional modern storage capacity is being created in the shape of “Silos” and damage/ leakage of FCI stocks has been brought down very significantly that is .004 %. This was stated by Shri Ram Vilas Paswan, Minister of Consumer Affairs, Food and Public Distribution while briefing the media about initiatives taken by his Ministry during last one year here today. Shri Paswan said that interests of farmers and consumers are high on the agenda of the Government. Highlighting the farmers’ centric approach in its various initiatives, the Minister said that during the current Rabi marketing season government agencies have procured five lakh tonne more wheat than the last season. In order to protect farmers’ interests, the government not only relaxed quality norms for procurement but also decided to bear value cut, if imposed for shriveled and broken grains, so that farmers get full minimum support price for produce. FCI has been asked to work out a plan for procurement of pulses and oil seeds from farmers on MSP and to adopt a aggressive paddy procurement plan in the regions where market price generally rules below the MSP and distress sale is reported, specially in the states of Andhra, Telangana, Uttar Pradesh and West Bengal, Shri Paswan added. The Minister said to ensure implementation of National Food Security Act more efficiently, the Centre has decided to bear 50% expenditure of food grains handling and of dealers margin money. The rules for payment of Food Security allowance to the beneficiaries, in the case of food grains is not made available to the beneficiaries, have also been finalize. On pilot basis, the Government is also working on direct transfer of food subsidy to beneficiaries of National Food Security Act, Shri Paswan added. Highlighting proposed plans of the Government for Consumer welfare, Shri Ram Vilas Paswan said that after 360 degree review of the Consumer Protection Act, comprehensive amendments have finalised in the Act to ensure quick, inexpensive and simple redressal of consumer’s grievances, enabling e-filing of cases and not requiring personal appearance till the stage of admission, and time bound admission of cases proposed. A “Central Consumer Protection Authority” also proposed to investigate unfair trade practices; initiate class action, order recall or replacement of defective products. Provision made for product liability to enable consumers to sue for damages caused by defective products/ deficient services. Besides this a dedicated portal www.gama.gov to enable consumers to register their grievances against misleading advertisements (GAMA) has been launched. Six key sectors viz. food and agriculture, heath, education, real estate, transport and financial services have included for this purpose. The complaints lodged are taken up with the relevant authorities or the sector regulators. The consumer is informed after the action taken. In another initiatives, to provide a host of consumer services under one roof, Grahak Suvidha Kendras launched in six locations: Ahmadabad, Bangalore, Jaipur, Kolkata, Patna and Delhi on March 18, 2015. Such centres will be set up in every State in phased manner. On the occasion the Minister also launched a mobile app enabling consumer to register their complaint against consumer products having ISI marks and quarterly news letter containing best practices of Targeted Public Distribution System. Ø In order to give relief to the farmers affected with unseasonal rains and to save them from distress sale of wheat, quality norms for procurement relaxed. The Central Government decided to reimburse amount of value cut on MSP, if any imposed, to the states so that farmers get full Minimum Support Price (MSP) even for shrivelled and broken wheat grains or having lustre loss. Such a farmer’s centric step was taken first time by any Central Government. Ø An action plan is being finalized by FCI to provide better price support services to the farmers in the Eastern States, especially to the small and marginal in Eastern UP, Bihar, Jharkhand, West Bengal and Assam where at present procurement system has poor outreach to the farmers. It will save farmers from distress sale and exploitation by the middlemen. Improved MSP coverage will also encourage farmers to adopt technology and improve yield of paddy/ rice in these States, where productivity levels at present are below national average. This will ultimately increase income and will bring in prosperity to the farmers of the region. Ø In the interest of farmers, FCI is also working on a procurement plan for pulses and oilseeds to ensure MSP for farmers for both the crops. Ø To ensure payment of minimum support price to more paddy farmers, millers levy on rice brought down to 25% in the Kharif Marketing Season 2014-15, and decided to abolish it from October, 2015. This will save farmers from exploitation and they will not depend on millers for selling their paddy. · This initiative has improved delivery of MSP to the farmers for paddy even in the situation of market prices ruling below the MSP, especially in the states of Andhra Pradesh, Telangana, Uttar Pradesh and West Bengal, where the farmers are substantially dependent on millers for selling their paddy. · During Kharif Marketing Season (KMS) 2013-14 only a quantity of 8.52 lakh MT of paddy had been purchased directly from the farmers by the State Agencies in unified Andhra Pradesh, but in KMS 2014-15, such direct purchase of paddy has gone upto 36.76 lakh MT in Andhra Pradesh and Telangana together. The reduction of levy in KMS 2014-15 has not resulted in any substantial reduction of overall procurement of rice in these two States till date compared to KMS 2013-14. · Similarly in Uttar Pradesh, the procurement of paddy has gone up from 9.07 lakh MT in previous season to 18.18 lakh MT in current season and overall procurement of rice has gone up from 11.05 lakh MT of previous season to 16.10 lakh MT till April, 2015. · In West Bengal also, the procurement of paddy has gone up from 5.79 lakh MT in previous season to 13.29 lakh MT in current season and overall procurement of rice has gone up from 8.27 lakh MT to 13.31 lakh MT till April, 2015. Ø In order to ensure that beneficiaries of the National Food Security Act get entitled foodgrains positively, rules notified in January, 2015 for payment of food security allowance in the case of non-delivery of foodgrains to the beneficiary. Ø The central Government also decided to share 50% (75% in the case of Hilly and difficult areas) of the cost of handling & transportation of foodgrains incurred by the states and the dealers’ margin so that it is not passed on to the beneficiaries and they get coarse grain Rs1/kg, wheat at Rs2/kg and rice at Rs 3/kg. Ø A high level committee of experts setup in August 2014 to recommend restructuring of Food Corporation India for improving foodgrains management, ensuring efficient MSP operations, scientific storage and strengthening foodgrain supply chain in the country. Action has been initiated on the report submitted by the committee. Ø To bring all operations of FCI Godowns online and to check reported leakage, “Depot Online” system initiated and integrated security system is being set up in all sensitive depots. In order to modernise foodgrain storage in the country, 20 lakh tons storage capacity is being created in the shape of “Silos” in first phase. Ø In order to have better targeting of “other welfare schemes’ for poor, a committee of ministers set up under the chairmanship of Consumer Affairs, Food and Public Distribution. The Committee not only decided continuation of foodgrain allocation for other welfare schemes but also nutritional support by providing milk and eggs etc under the schemes. Ø 612.42 lakh tonnes of food grains allotted to States/UTs for distribution under Targeted Public Distribution System and Other Welfare Schemes during 2014-15. Ø Due to progressive procurements from farmers, the stock of foodgrains in central pool as on 1.4.2015 reached to 343.15 lakh tons against minimum buffer norms of 210.40 lakh tons. Ø Adequate supplies of food grains ensured during natural calamities of Hud-hud cyclone in Andhra Pradesh and devastating floods in J&K. Availability of sufficient foodgrains in North Eastern States was also ensured inspite of disruption in major rail route because of gauge conversion work. 80,000MT foodgrains moved through roads every month besides creating additional storage of 20,000 MT in the reason. Foodgrains also induct into Tripura via riverine route passing through Bangladesh. Ø An additional storage capacity of 43,480 MT has been created in the North East with funds amounting to Rs.76.85 crores. This storage capacity enhancement will help in meeting foodgrain requirement of the reason. · Import duty on sugar first increased from 15% to 25% and than 40%. · The duty free import authorisation schemes for exporters withdrawn. · Decision to withdraw the excise duty on ethanol, for blending with petroleum, from next sugar season, so that the price benefit to the sugar mills could facilitate payment of sugarcane arrears. · The policy for procurement of ethanol for blending with petrol also modified. Ø A conference of State Food Ministers organized and integrated action plan on tackling food inflation adopted in July 2014. Ø Potatoes and Onions notified “Essential Commodities” enabling State Governments to impose stock control orders on both the commodities and to take anti-hording measures. Ø Number of price reporting centres increased from 57 to 64 to strengthen price monitoring of 22 essential commodities by the Ministry. Ø To enhance supply of wheat during lean period and to moderate prices, 100 lakh tonnes of wheat approved for sale under Open Market Sale Scheme (OMSS) during 2014-15 and 50 lakh tonnes of additional rice released through Targeted Public Distribution System. Ø In order to ensure availability of fruits and vegetables at reasonable prices to consumers and wider selling option to farmers, fruits and vegetables delisted from the APMC Act in Delhi. Kissan Mandi set up for selling both the commodities. All other states were also advised to adopt the arrangement. Ø Joint campaign organised with Heath, Financial Services and other departments for greater consumer awareness. During the last year the Department of Consumer Affairs intensified its multimedia campaign under the banner of Jago Grahak Jago. With special emphasis on rural areas, tribal areas and North East, the campaign makes consumers aware of their rights/obligations. Joint campaigns were organized with the Reserve Bank of India, the Ministry of Health and the Ministry of Finance to focus on specific issues of consumer interests. Ø An Inter-Ministerial Group of key sectors that matters to consumers viz Agriculture, Food, Healthcare, Housing, Financial Services and Transport, to facilitate policy coherence and coordinated action on consumer advocacy has been constitutes bedsides an Inter- Ministerial Committee to address the problem of Misleading Advertisement and Unfair Trade Practices. Ø A dedicated portal www.gama.gov to enable consumers to register their grievances against misleading advertisements (GAMA) launched. Six key sectors viz. food and agriculture, heath, education, real estate, transport and financial services have included for this purpose. The complaints lodged are taken up with the relevant authorities or the sector regulators. The consumer is informed after the action taken. Ø To provide a host of consumer services under one roof, Grahak Suvidha Kendras launched in six locations: Ahmadabad, Bangalore, Jaipur, Kolkata, Patna and Delhi on March 18, 2015. Such centres will be set up in every State in phased manner. They will provide guidance to consumers regarding consumer laws, the rights of the consumers, the procedure of approaching Consumer Courts and various other consumer related issues including quality assurance and safety of products. Ø In order to strengthen the quality assurance regime for goods and services in the country, the amendments to the BIS Act finalised. The market surveillance for standards and testing of products was made more effective. Ø Simplified standards conformity schemes launched so that industry can adopt the quality standards with ease and manufacture standardised products in the country. Ø Decision taken to set up five new BIS labs by March 2016 besides modernising the existing labs. Ø For better enforcement of standards, a new scheme enabling common consumer to get ISI marked products tested in BIS labs or BIS recognised labs. A mobile App is also being launched which will enable consumers to verify the genuineness of the BIS marked products. Ø Facilities provide to engineering students for hands-on Skill Development in National Test House laboratories of BIS. Ø Introduction of mandatory Red/Brown/Green Dots for cosmetics to indicate Non-Veg/Veg. Origin on the demand of common consumer. Union Home Minister Shri Rajnath Singh paid a two-day visit on May 30-31, 2015 to the LWE-affected State of Chhattisgarh. He reviewed the anti-LWE Operations and the development agenda with the State Chief Minister Dr. Raman Singh and Senior Officials of the Central and State Government including the CAPFs. Shri Rajnath Singh directed that the installation of mobile towers by the BSNL be expedited, particularly in Sukma district. He said that new Post Offices will be opened in the three worst affected districts of south Bastar namely Sukma, Bijapur and Dantewada. The Home Minister also laid stress on the expeditious formulation of the Road Requirement Plan, RRP-II, in consultation with the Union Ministry of Road Transport & Highways. Shri Rajnath Singh called for the opening of schools and hostels, new bank branches and expansion of radio and TV coverage in the Naxal affected areas. The State Government proposed that the Centre should undertake the “Bastar Plan” for its integrated development on both economic and security fronts. The Chief Minister Dr. Raman Singh raised the issue of reimbursement under the Security Related Expenditure (SRE) Scheme and demanded the deployment of five CRPF Battalions. The Union Home Minister held an interaction with the jawans of the CRPF and State Police Force at Chintagufa Camp in Sukma. The jawans demanded adequate provision for Family Accommodation in Group Centres and removal of differences in Pay and Allowances between the State Police Force, CAPF and Cobra jawans staying in the same campus. Assuring the jawans, Shri Rajnath Singh said that the constant effort of the MHA is to improve the working conditions and take welfare measures for CAPF jawans. Senior Security Advisor Shri K. Vijay Kumar, Special Secretary (Internal Security) Shri Ashok Prasad, Senior Officers of the Central and State Governments and Security Agencies accompanied the Union Home Minister. The Ministry of Minority Affairs is considering to link Waqf properties with Mutwallis (manager of waqf property) Aadhaar numbers for transparent records and accurate and genuine identification of properties. This was stated by Dr Najma Heptulla,the Minister for Minority Affairs while along with MoS Shri MukhtarAbbas Naqvi inaugurating Central Waqf Bhawan,the office building of Central Waqf Council, here today. In her address on the occasion, the Minister said that the NDA Government is working with all inclusive comprehensive approach for ensuring “Sabka Saath, Sabka Vikas”. The Ministry’s endeavour is that benefit of schemes reach the targeted beneficiaries and is visible in society. Speaking on the occasion Shri Mukhtar Abbas Naqvi, the Minister of State for Minority Affairs said that the Government is working honestly with a commitment to enable the minorities reap an equal share through participation in the country’s development process. The NDA Government has established a mechanism where each and every single penny of the grant given by the Centre meant for the welfare of the minorities is being spent honestly with transparency. Shri Arvind Maya Ram, the Secretary Minority Affairs ,senior officers of the Ministry ,CWC and a number of distinguished persons were present on the occasion. The Central Waqf Bhawan is a four storied office complex of the Central Waqf Council built on 1008 sq. meter plot at P-13 & 14, Sector-6, Pushp Vihar, M. B. Road, New Delhi. Central Waqf Bhawan is equipped with all modern functional facilities such as Conference Hall, multipurpose halls, library, canteen etc. The foundation stone of Central Waqf Bhawan, was laid on 25th June 2013.The Central Waqf Council was established in 1964 under the provision of Wakf Act, 1954 as an advisory body to Central Government on Waqf matters. The Central Waqf Council has been under the shelter of different Ministries which was later accommodated in the Ministry of Welfare in 1985. As a result of focused efforts to create a Ministry dedicated for the welfare of the Minorities, Ministry of Minority Affairs came in to being in the year 2005 and the Waqf has become permanent part of the Ministry. The Central Waqf Council got a piece of land allotted by the Ministry of Urban Development for its office building as the Council is presently housed in the hutment of Jamnagar House. The CPWD assigned the task of designing and constructing the office building has completed the project in two years at the cost of about Rs 4 crores. The Waqf amendment act 2013 has considerably expanded the role of the Council. The Central Waqf Bhawan would emerge as the epicenter of the Waqf management in the country and would provide greater support to the state Waqf boards for their effective functioning. The Supreme Court order dated 13 May 2015 in the case between the Hindustan Zinc vs Rajasthan Electricity Regulatory Commission on the applicability of Renewable Purchase Obligation (RPO) regulations has ruled that RPO on captive consumer is justified and interpreted it in the context of Article 51A (g) of the Constitution of India that cast a fundamental duty on the citizen to protect and improve the natural environment, and the mandate of Article 21 that guarantee right to live with healthy life. The Section 86 (1) (e) of the Electricity Act (EA) 2003 provides for Renewable Purchase Obligation (RPO) on consumption of energy and the RPOs are determined by respective State Electricity Regulatory Commissions. The applicability of RPOs is on the Distribution Companies (Discoms) Captive Power Plants (CPP) and also on Open Access (OA) consumers. In August 2012, the Rajasthan High Court had dismissed an appeal by Hindustan Zinc Ltd., Ambuja Cements Ltd., Grasim Industries Ltd., and 14 other companies that challenged RPO regulations enacted by the Rajasthan Electricity Regulatory Commission (RERC) for put RPOs on Captive Power Plants. The key Captive Power Plants and Open Access users had contested that RERC did not have the authority to pass the order of RPO and impose surcharge (penalty) as CPP and OA were completely de-licensed activities under the Electricity Act 2003. Further that EA 2003 only allows RPO on the ‘total consumption in the area of the distribution licensee’ and therefore intends to apply RPO on distribution licensees only. The Hindustan Zinc had appealed in the Supreme Court against the High Court. The Supreme Court order is a positive development and will help in enhancing RPO compliance and further contribute to renewable energy growth in the country. 1. The appointment of Shri Pradeep Kumar Sinha, IAS (UP:77) as Cabinet Secretary with a tenure of two years with effect from 13.06.2015 or until further orders, whichever is earlier. The ACC has also approved the appointment of Shri Sinha as Officer on Special Duty in the Cabinet Secretariat from the date of his assumption of charge till he takes over as Cabinet Secretary. 2. The assignment of additional charge of the post of Secretary, Department of Consumer Affairs to Shri Ashok Kumar Angurana, IAS (JK:80), Secretary, Department of Animal Husbandry, Dairying & Fisheries for a period of three months w.e.f. the date of relinquishment of charge by Shri K.N. Desiraju, IAS(UK:78) on superannuation or until further orders. 3. The assignment of additional charge of the post of Secretary, Department of Food and Public Distribution to Shri Siraj Hussain, IAS(UP:79), Secretary, Department of Agriculture and Cooperation for a period of three months w.e.f. the date of relinquishment of charge by Shri Sudhir Kumar, IAS(UP:78) on superannuation or until further orders, whichever is earlier.